Hiking is the preferred term for a long, vigorous walk in the countryside often on hiking trail while the word walking is used for shorter, particularly urban walks. Many Korean people love hiking, so do foreigners! Hikers are hikers, there’s no difference or boundary between different nationalities, to be a hiker. 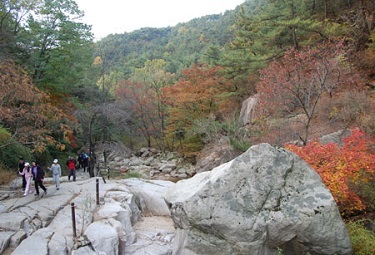 Fortunately, Korea has so many beautiful mountains, people always enjoy hiking. Sauna after hiking is one of the You-Cannot-Miss things in Korea as well. This gorgeous mountain, Mt.Bukhan, has a magnificent view of itself, and offer a wonderful sight towards Seoul city from the top of the mountain. 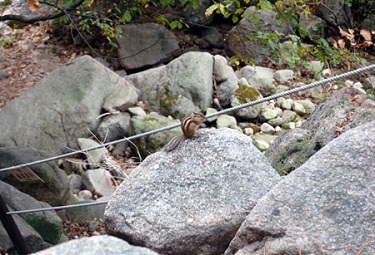 It’s the biggest and most popular for Seoul climbing lovers, that you will see at the mountain. About the sauna you are going to join in, you never know what Korean Sauna is like before you ever try. You won’t regret! Bukhansan National Park is so close to Seoul that more than 10 million people visit every year, and is the ideal place to hike and take a break escaping out of hectic city life. 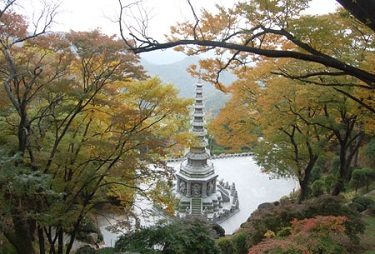 The park was designated as 15th national park in Korea, on the 2nd April 1983. 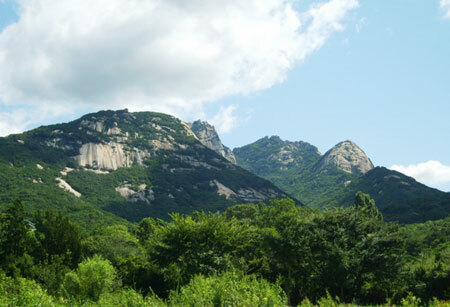 It spans an area of 79.916km2 including the adjacent Dobongsan. 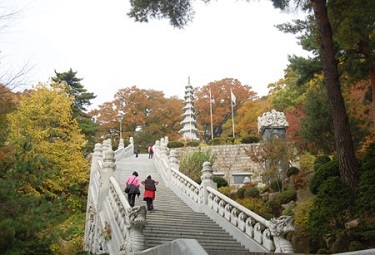 This national park covers two administrative districts Seoul and Gyeonggi-do province. There are not many rare species of animals and flora in the park compared to other national parks of the country since it is entirely surrounded by cities, but it is considered the ¡°green lung¡± of Seoul providing fresh air and natural resting areas for millions of citizens who live around this area. Thereis a lot of things to try when you go to abroad contry, such as treditinal food, treditional play, ect… When you come to Korea, you must try Korean food-Kimchi, Bulgogy, Samgyoetang- treditional treditional dancing and performances- Nong-Ak, Fan Dancing, Nan Ta, and Jump- and KoreanSauna. Korean Sauna is so specail, because there is specail treatment – meridian pathways massage, exfoliate of your wholl body, and facial massage- than the other contries. Especially, Korean Sauna will relax your tite mucels from the hiking.